Hannah Young Wells Fearson, older sister of Mary Young Pickersgill, was born August 2, 1767, in Philadelphia to William and Rebecca Young. In 1783, Hannah marries shipbuilder George Wells, and the couple relocates to Baltimore in 1784 where George has inherited house and building plots from his father. Five years after their marriage, George Wells dies. Having poorly managed and invested his inheritance, he leaves Hannah deeply in debt, a hardship she would have to deal with for twenty years thereafter. Unlike her mother and sister, Hannah chooses to remarry and does not enter into the flag making trade. On May 28, 1791, Hannah marries Jesse Fearson a Revolutionary War sea captain and commander of the Buccaneer, a privateer ship with 12 crew and 18 guns. By September of 1807, the Young/Pickersgill flag making business in Baltimore was underway and Hannah and her husband Jesse move to Granby Street, one block east of the Flag House. Like her sister, Hannah becomes involved with the Impartial Female Humane Society. In 1828, when Mary is named as president of the Society, Hannah appears in meeting minutes as part of a committee to “make the next inquiries into the affairs of the Society.” She is also listed as heading a committee on March 11, 1829, that is to call a Mr. Norris to “demand the papers and any articles he may hold belonging to said society.” Hannah continues to appear in Impartial Female Humane Society minutes until about 1848. On March 7, 1853, Hannah Young Wells Fearson dies at age 86 in Baltimore. 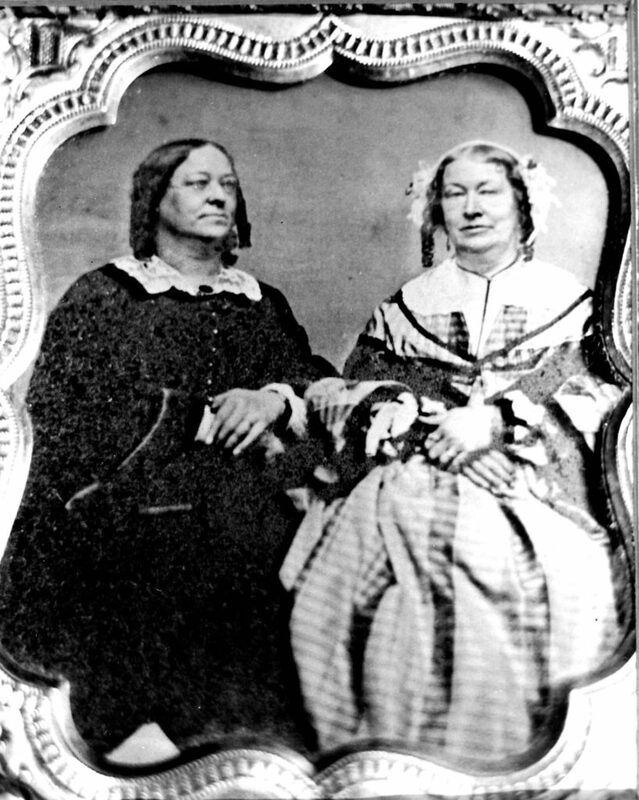 Hannah Young Wells Fearson (in plaid) pictured with sister Mary Young Pickersgill (in black), about 1840.